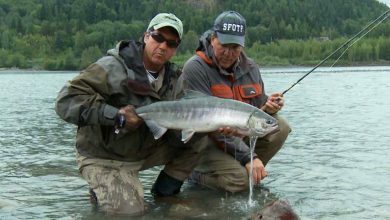 Watch Don and Dale Freschi as they present some amazing fly fishing action from British Columbia and beyond. 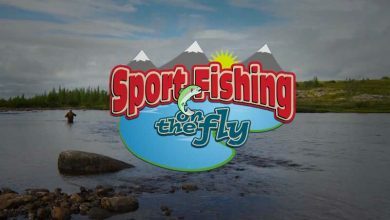 This show is great for novice and experienced fly anglers as the Freschi brothers present tactics, location and techniques as well as some nice fly tying sequences in each epsiode of their killer patterns. 13 episode series. Its early July and Don and Dale are afloat on the stunning Columbia River in British Columbia. The fish are on caddis and mayflies predominantly as this time of year and by switching between patterns, the pair enjoy great successs throughout the day. Don also demonstrates tying one of his favourite patterns, the Green UV Sparkler Nymph. 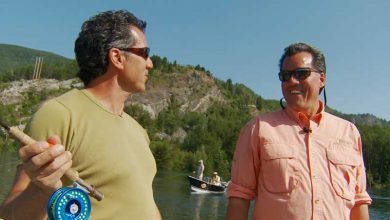 Dale is fly fishing with Donald Thom is this episode on the Payne River in Northern Quebec. Donald has perfected a fantastic technique of catching sea run Arctic Char on dry flies using bomber dry fly patterns which provides a simply thrilling day's sport. 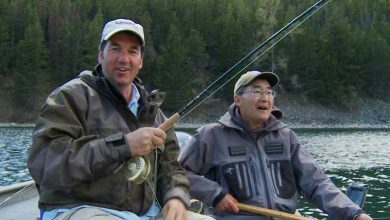 Don is fishing with Brain Chan in this episode on Summit Lake in British Columbia. Don is 'fishing naked' which doesn't mean he's actually naked thankfully but refers to his straight line nymphing technique! Despite chilly and windy conditions the pair get into some nice rainbows using chironomid patterns. Don then hits the bench and shows how to tie one of his favourite chironomid patterns. 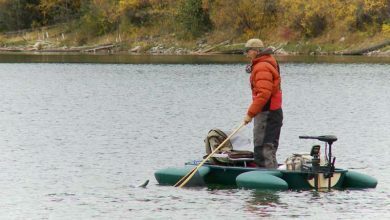 Don is out with Brian Chan on Roche Lake, in early fall. It can be tricky at this time of year but using indicators and shrimp patterns they soon lock onto the fish. On the bench, Don ties up one of his favourite shrimp patterns to use on this lake. 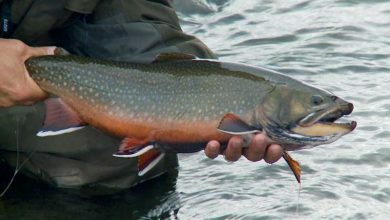 Don, Dale and guest, Donald Thom are in Northern Quebec on the Lagreve River fly fishing for trophy sized brook trout. In the fast flowing current, these big brookies are tough to land, with as many losses as hook ups. On the bench, Don ties up a Light Cahill Stimulator which is proving to be irresistible to these brookies. 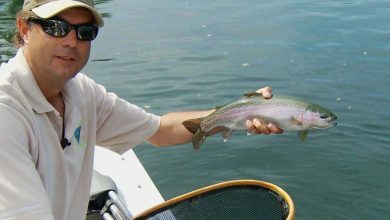 Don is back on Summit Lake with Brian Chan fly fishing for rainbow trout. Fishing with leech patterns under indicators around the weedbeds is proving deadly but the guys have to step up their tippets to stop these powerful fish breaking them off. Don then hits the bench and shows how to tie a Green Hornet, a which is newish Balance Leech pattern that presents the fly horizontally in the water column. 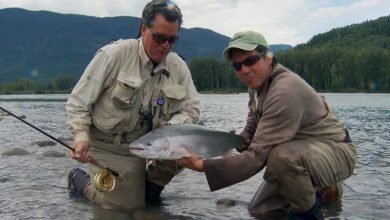 Don and Dale are on the world famous Skeena River in British Columbia fly fishing for steelhead and Coho salmon. Purple and pink patterns seem to do the trick here and the guys are on the river with some great runs of fish coming through ensuring plenty of action. Don then shws how to tie the Bruiser which is the fly doing all the damage on the river. Don is out on the Columbia River with friend and guide, Dwayne D'Andrea on a hot July day. Normally at this time of year, they'd expect the fish to be locked on to mayflies and caddis but with record flows around, these hatches haven't transpired. A change of tactics to Woolly Buggers and nymphs pays dividends. On the bench, Don ties up a UV Caddis Pupae. 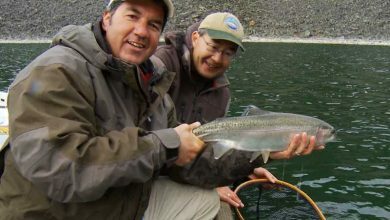 Its mid October and Don and Brian Chan are back on one of their favourite waters, Roche Lake in British Columbia. Variable recent weather conditions has made the fishing a little tough but the pair try leeches, shrimp and attractor patterns until they find the trout. 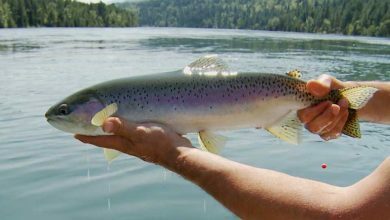 Don ties up a Sunburst Blob, a fly that can attract fish when all else fails. 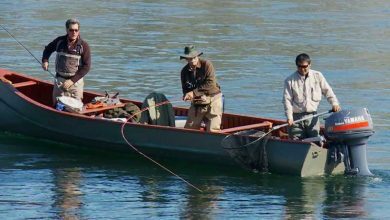 Don and Dale are on the Skeena River in British Columbia fishing for steelhead, Coho and Chum salmon. Don demonstrates how to fish pocket water. 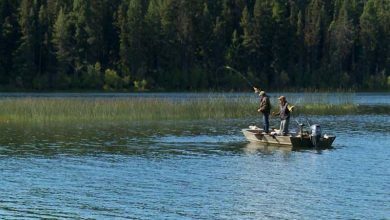 He begins by fishing the run with a spey rod with long swings and then uses a shorter fly rod to search out the deeper pockets. On the Bench, Don ties up a Purple Flash, a deadly fly for steelhead. Don is on his annual pilgrimage to Cuba for some saltwater fly fishing. 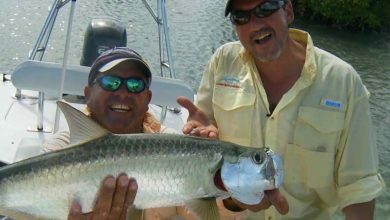 Down in Jardines De La Reina, Don's main target species are tarpon, bonefish and the elusive permit. 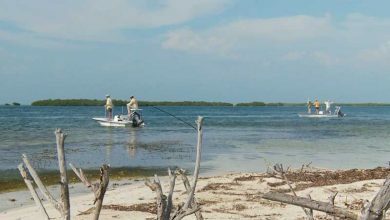 After some fun with the bonefish in the mangroves, Don heads out to the flats as the tide is going on and finds a nice school of tarpon and some permit. Don is fly fishing in Jardines De La Reina in Cuba with Brian Chan and they're looking for a Grand Slam, a bonefish, tarpon and permit in one day. After a great morning on the bones, can Don finally land a permit, probably the trickiest of the three to catch. On the bench, Don ties up one of his favourite tarpon patterns. In the final episode in this season, Don looks at some of the highlights of the series including a few unseen bloopers. He also picks out some of his favourite fish of the series and a few that got away.